Former chief minister Mehbooba Mufti will be the People Democratic Party candidate from Anantnag Lok Sabha constituency. Announcing the party candidates, PDP chief Mehbooba said Aga Mohsin will be the party candidate for Srinagar seat. “I will contest from Anantnag seat, ” she told reporters.”The opposition front is not functioning as it should have but we have taken a unilateral decision to not field candidates from these seats so that the secular vote does not get divided,” she said. 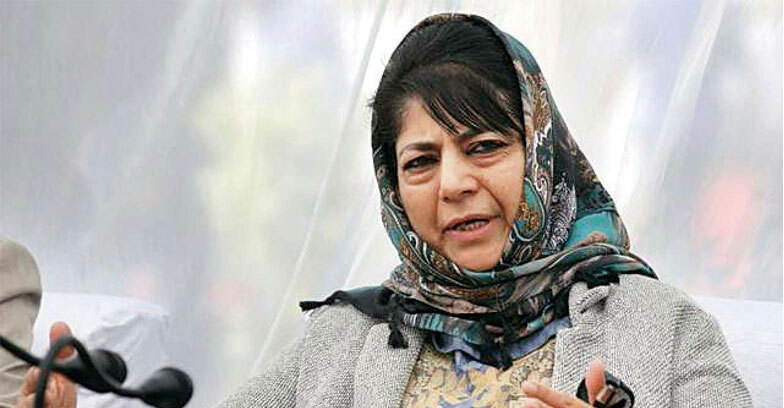 Mehbooba said her party had taken around 1.75 lakh votes in 2014 Lok Sabha elections in Jammu seat and over 30,000 in Udhampur seat.She said the party has not taken a decision yet on the Ladakh parliamentary seat. PDP yet to decide field any candidates for Jammu and Udhampur seats in a bid to prevent division of “secular votes”.